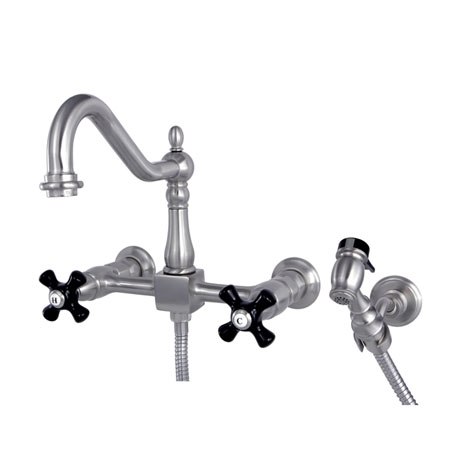 Designed for wall mount installation, the Duchess kitchen faucet brings style and elegance to any home kitchen. Manufactured from solid brass, the faucet utilizes a ceramic disc cartridge system and is available in 4 tarnish-resistant finishes. The wall mount installation saves counter space and provides an unique look. A matching brass side sprayer is included to provide additional cleaning power. The cross handles and Victorian spout give the final touches to this kitchen ensemble.